In 1968, Arthur C. Clarkes best-selling 2001: A Space Odyssey captivated the world-and was adapted into a now-classic film by Stanley Kubrick. Fans had to wait fourteen years for the sequel-but when it came out, it was an instant hit, winning the Hugo Award for Best Novel in 1983.Nine years after the ill-fated Discovery One mission to Jupiter, a joint Soviet-American crew travels to the planet to investigate the mysterious monolith orbiting the planet, the cause of the earlier missions failure-and the disappearance of David Bowman. The crew includes Heywood Floyd, the lone survivor from the previous mission, and Dr. Chandra, the creator of HAL.What they find is no less than an unsettling alien conspiracy-surrounding the evolutionary fate of indigenous life forms on Jupiters moon Europa, as well as that of the human species itself. 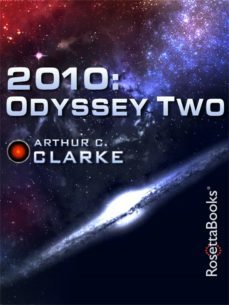 A gripping continuation of the beloved Odyssey universe, 2010: Odyssey II is science-fiction storytelling at its best.